Meet Chako and her friends from the Cosplay Association at East Oizuki Academy! They're the hottest new cosplay team in Japan... fresh from a winning streak of local battles, they're set to sweep the Cosplay World Series! Yeah, right... In reality, Chako and her friends are barely able to keep their club alive at all. Feeble club membership and a lack of sponsor- ship might be the end of their cosplay dreams before they can even start. But don't you dare underestimate this group of spunky girls! 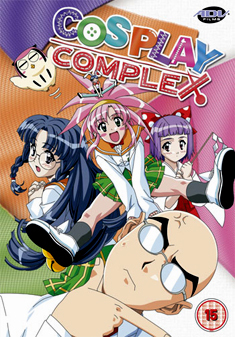 Contains 3 complete OVAs.